Why is this happening, and what can I do to view the "zoomed in" graph? To set limits to the axes you may want to use ax.set_xlim and ax.set_ylim. Afaik, ax.plot() doesn't have xmin, etc keyword arguments, so that they pass unnoticed to the plot method. 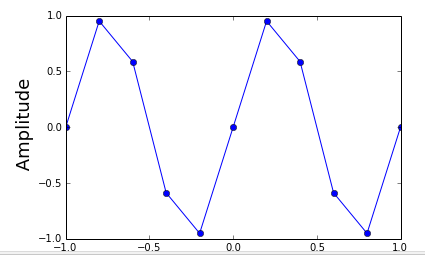 What you see is the result from the previous plot ax.plot(t,x,'o-'). A second method to set limits, the one in the link you indicate, is plt.axis() . Convenience method to get or set axis properties. axis set both axis at the same time. see docstring for more information. Not the answer you're looking for? Browse other questions tagged python plot ipython or ask your own question.